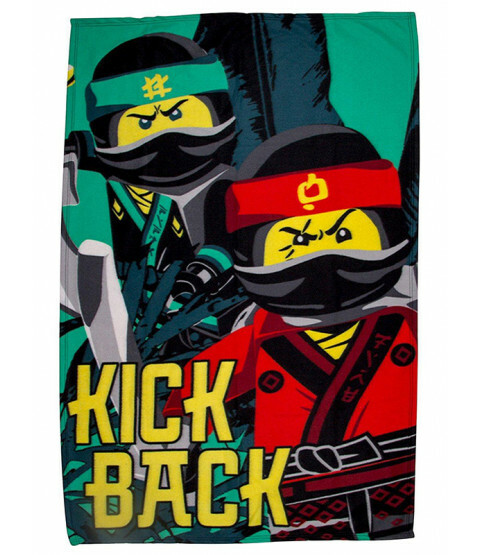 This official Lego Ninjago Movie Fleece Blanket features a great image of Lego Ninjas Kai and Lloyd on a green jungle themed background with the words Kick Back. 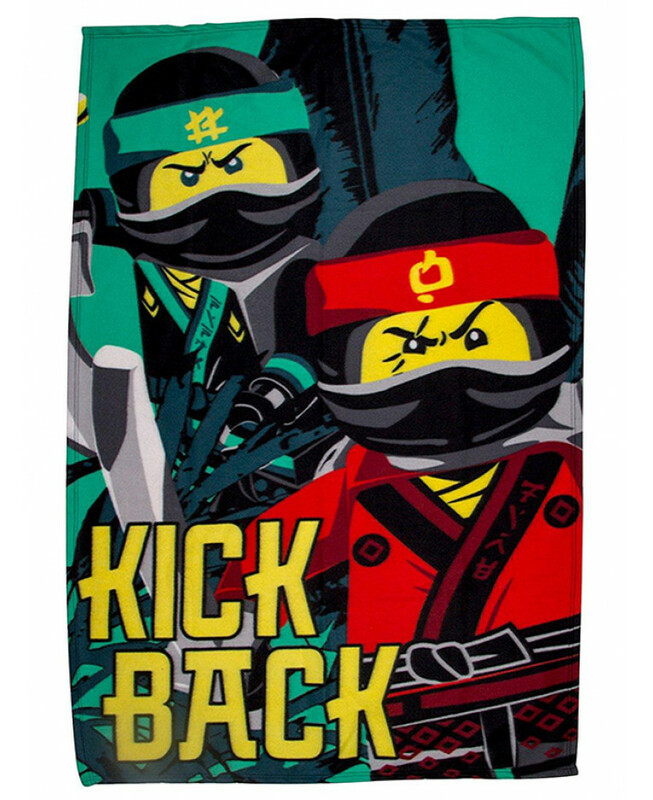 Made from super soft material, this blanket is perfect for snuggling up with on chilly nights and makes a great addition to a Lego themed room! It is also machine washable and can be tumble dried on a low setting.